In a hurry? 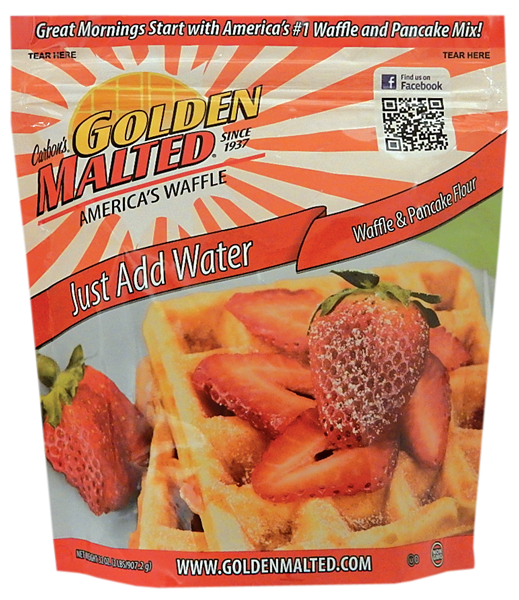 Try our Just Add Water Waffle & Pancake Mix when you're on the go. 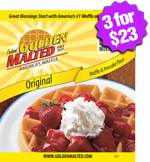 You'll get delicious golden brown waffles and light & fluffy pancakes, every time in just a matter of minutes. No extra ingredients needed, just water! 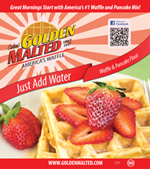 INGREDIENTS INGREDIENTS ENRICHED WHEAT FLOUR (WHEAT FLOUR, NIACIN, REDUCED IRON, THIAMINE MONONITRATE, RIBOFLAVIN, FOLIC ACID), SUGAR, LEAVENINGS (SODIUM BICARBONATE, MONOCALCIUM PHOSPHATE), RICE FLOUR, SOYBEAN OIL. 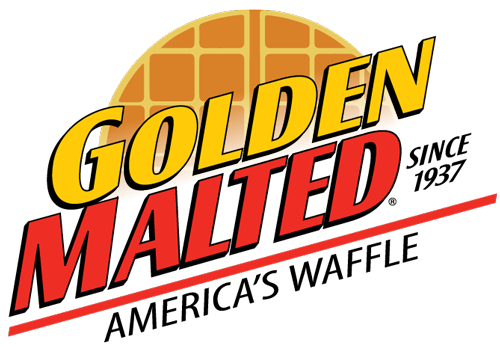 CONTAINS 2% OR LESS OF THE FOLLOWING: SALT, WHEY, BUTTERMILK, MALT, NATURAL AND ARTIFICIAL FLAVOR. CONTAINS: WHEAT AND DAIRY. 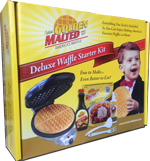 A great option for children with egg allergies, plus it's so easy to make that the children can do most of the work themselves.